Unlike other games like “Call of Duty,” any sports series or “Battlefield”, a “Fallout” game does not release on an annual basis. So when “Fallout 76” was announced at the 2018 E3 conference with a release date in the same year, fans got excited. During Bethesda’s block at the E3 2018 conference, Todd Howard, the director and executive producer at Bethesda Studios, dropped the biggest bomb the series had ever seen. “Fallout 76” would be an online game. For the first time since “Fallout Tactics,” players can interact with each other, do quests together and fight the biggest beasts of Appalachia (the ruins of West Virginia). The thought of online Fallout was welcomed in the fanbase because Bethesda had never adapted and stuck to the single player game. However, Bethesda might have taken it too far. While the online world of Appalachia is an ambitious one, there are no nonplayable characters. And when you think you’re about to meet one, it turns out they’re dead. Interacting with others is innovative and all, but non-playable characters are essential to the “Fallout” series for lore, comedic relief and to further the plot. One of the biggest critiques about “Fallout 76” is the lack of direction in the story. It’s hard to disagree here, as the world almost seems “too open.” There is no sense of urgency in getting to the next quest marker. The counter-argument is that Fallout’s stories are never linear and require the player’s unique character to do some digging. Bethesda did that, but again, too much. Any part of the plot the character finds is mostly in the lore of the towns. Finding out what happened in Flatwoods is quite depressing, but the only way to learn is by going door-to-door and finding their stories. Furthermore, each player is different in their own way. The S.P.E.C.I.A.L. system is the difference between crafting a character that’s great at handling guns or talking their way out of any situation. In “Fallout 76” S.P.E.C.I.A.L. has been revamped entirely. Instead of the player choosing their character’s traits on a scale of one to 10 in the beginning, the player invests as they level up. The player gets a pack of perk cards and can choose which trait to improve. In a way, it’s an interesting change because it’s not forcing the player to bind to a character build from the very start of the game. However, starting with ones across the board makes the player feel incredibly flimsy. This gives it a very dark “Fallout 3” feel where you feel alone in a desolate area. Stumbling across a pack of wild dogs is suddenly a grave threat with just a knife as the only weapon. In addition, medical supplies and ammo have appeared to be, at least in my experience, very scarce. Stay in your lane when it comes to fighting tough enemies at a low level. For the fans who felt the enemies in “Fallout 3,” “Fallout: New Vegas” and “Fallout 4” were not tough enough, you got your wish. This is the earliest a Fallout game has ever taken place after The Great War of 2077. In an uninhabited West Virginia 25 years later, there will be things players have never seen before. Like a dragon-looking creature called the Scorch Beast. It takes strategic planning to try and kill that and don’t expect to get it done with the trusty 10 mm pistol. Another enemy is a new kind of ghoul called the Scorched. The Scorched ghouls are between feral and sane and are infected by the Scorched Plague. They can be a serious threat because they can travel in large amounts and use guns. In addition to the Scorched, ghouls are now more dangerous. Bullets for standard guns do less damage, they’re faster and travel mostly in packs similar to zombies. Getting mauled by four at once makes it easy for the player to lose track of their health. One of the worst changes with the game mechanics is with the Vault-Tec Assisted Targeting System, also known as VATS. VATS is used to slow down time in the middle of a fight to get more accurate shots. It used to be that time froze entirely, but in “Fallout 76,” time isn’t slowed at all. This takes getting used to because VATS used to be able to give players the opportunity in a big fight to get a solid shot in. It was also the mechanic that set Fallout apart from other games. Now, it’s a shell of its former self and not nearly as effective as it used to be. Another thing that takes some getting used to is that there is no map on the player’s Pip-Boy anymore and instead you have to hit the “start” button on the controller. It’s a minor thing, but it was nice to choose a quest and immediately switch to the map. Furthermore, when it comes to building, the player must learn a recipe before they can build the desired piece. This goes for campsites, guns and armor. Not only do you have to find plans, but the player must also remember to read them in the Pip-Boy too. Again, it’s not difficult, it’s just an extra step. 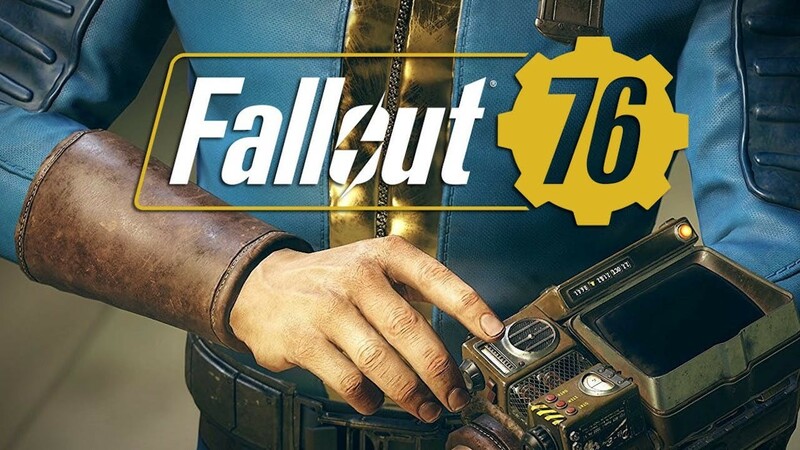 Bethesda left “Fallout 76” up to the player. You do what you want when you want. However, the lack of an apparent storyline quickly made fans upset due to the fact Fallout has historically been very good at storytelling. It feels like Bethesda abandoned its roots that made the Fallout series so good. Adaptions are welcome but only when executed properly. This daring move from Bethesda has, so far, resulted in a lot of hype and the worst score in Fallout series history.